LIFT is available in 3 sizes – S, M and L – covering weight range from 75kg -185kg. 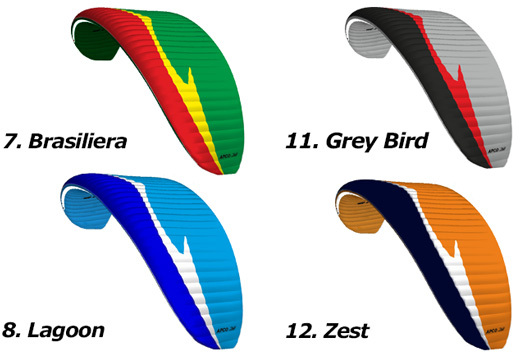 The design brief of LIFT aims to combine the best aspects of reflex wing with performance, handling and launch APCO is known for – perfectly blended into a well built, robust chute made to last. Landing – nice and soft even when brakes are half way down with more space for good flare – piece of cake!! 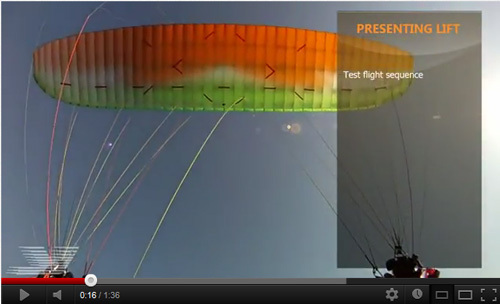 Flying – properly described – awesome!!! Flexon battens® , HIT Valves ® ,SRS® and embedded hook-in point are exclusive APCO innovations, often imitated, never matched!! * Higher wing loading advised when flying trike. The LIFT has been thoroughly tested by us, here in our facility, and we have complete confidence in the wing.